Don’t know how to pick from options in our online platform? Don’t have prior experience in strategy development to fast track your Growth Plan? 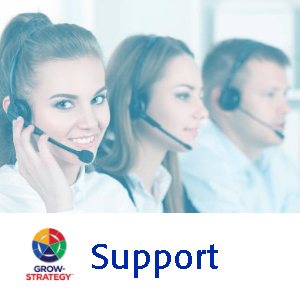 GROW | STRATEGY professional services put our customers quickly on the path to success with the GROW | STRATEGY platform. The experts on our support, training, and consulting teams are at your service – and they take pride in your success.